Our wide range of postal packaging can be custom printed with your branding, logo or any other design. We offer printed card mailing boxes and poly mailers, both of which are perfect for sending any size of products. 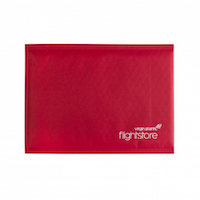 Our printed poly mailers are are great way to add your branding in a cost effective way to your postal packaging. It comes in a standard thickness of 60 microns, Co-ex plastic, which is a stong, durable, opaque and waterproof plastic. This makes it idea to hide and protect your products during mailing. We can print a full colour design over the entire mailing bag, or if you want something more subtle, just print your logo. 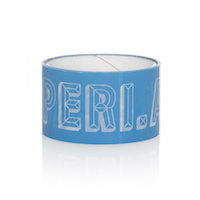 If you're looking for a finishing touch for your mailing packaging, why not try printed tape, stickers or ribbon. These inexpensive options can add your unique branding to your postal items without breaking the bank. 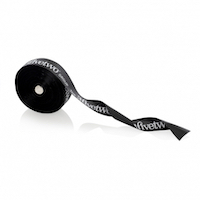 Show off your brand using tape or stickers or add a luxury finishing touch with ribbon. Whether you're an e-commerce store, subscription box supplier or regularly send out products, we have custom printed options to suit all budgets. Get in touch with our friendly staff to get a personalised quote. Call 0845 338 1741 or email info@preciouspackaging.co.uk.